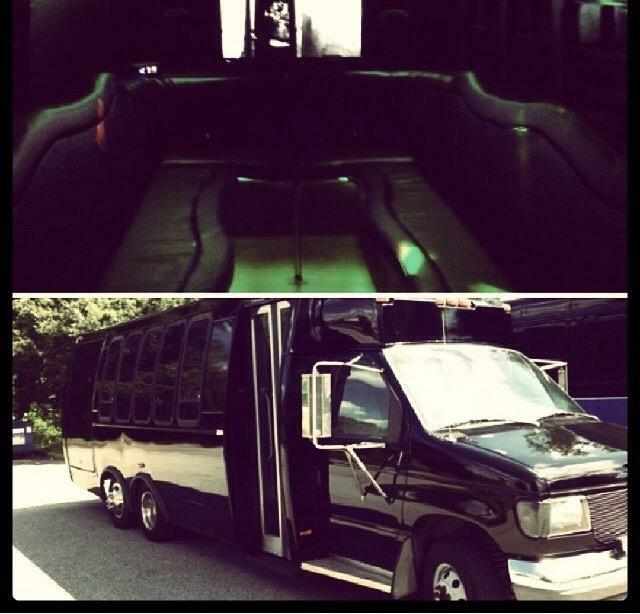 Alpharetta & Atlanta's Best Party Bus Limos to Rent! 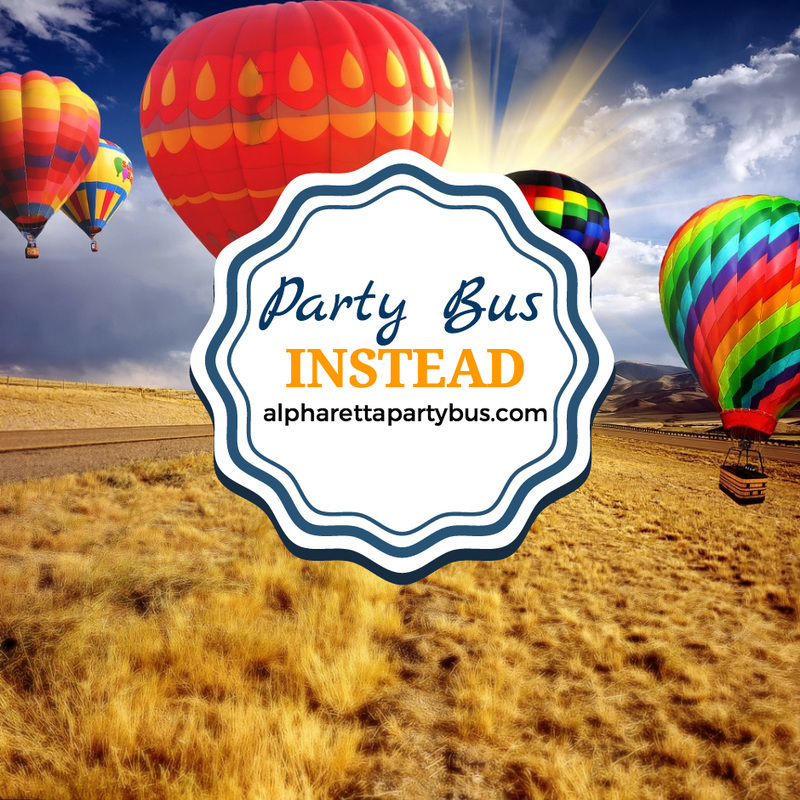 Why drive to the party yourself when you can choose from the best in Alpharetta Party Buses and we can take care of the worries for you? Let us take on the burden of driving you and your friends to the event. This is a one of kind day for you and we want to make it special. You can do that by booking one of our wedding party bus rentals. You can have all your friends with you, being transported to your wedding day destination. We definitely don't want you worrying about how your bridal party will get to your wedding. Book one of our Alpharetta Party Buses and hone in on your special day, not transportation whoas. Our professional drivers will take you and your wedding party anywhere in Atlanta and surrounding areas. Traveling in a wedding party bus rental will take the bride and her group, or the groom and his party, and transport any other friends and family to your special day activities. This time of the year only comes around once a year, so why not celebrate it BIG? You and your friends can party for as long as you want with one of our birthday party bus rentals. You would be surprised...the cost of renting a party bus is very reasonable. Bringing in another year renting a birthday party bus is a must! We have 12 party buses to choose from for your celebration. Having your friends with you for your birthday celebration will be a one-of-a-kind experience and will be talked about for years to come. Renting a party bus from us, will keep your friends safe while and after drinking and will allow everyone to get to the party destination at the same time. No worries about someone getting lost or showing up late. Our limousine buses come in different sizes and YES we even have party buses that are appropriate for corporate events. It doesn't matter what type of event you are holding, a conference at a large event facility or just at a smaller venue, we can provide any size party bus limo that has black leather seats and comfortable A/C & Heating. Transporting special clients or CEOs of a corporations is a regular booking for us. You can rely on our professional drivers to provide a safe and reliable trip experience. Other types of transportation bookings consist of airport shuttle service, allowing you to make it on time to your flight and without getting caught up in traffic jams. Being single is great! But so is finding that special one, but until you tie the knot, we are going to make your last night out as a single person one to remember! You and your friends can party all night with one of our premier party bus rentals. We have the top of the line bachelorette party bus rentals in Atlanta and we also have bachelor party buses too. Let us help you make your bachelor or bachelorette party one you will never forget. 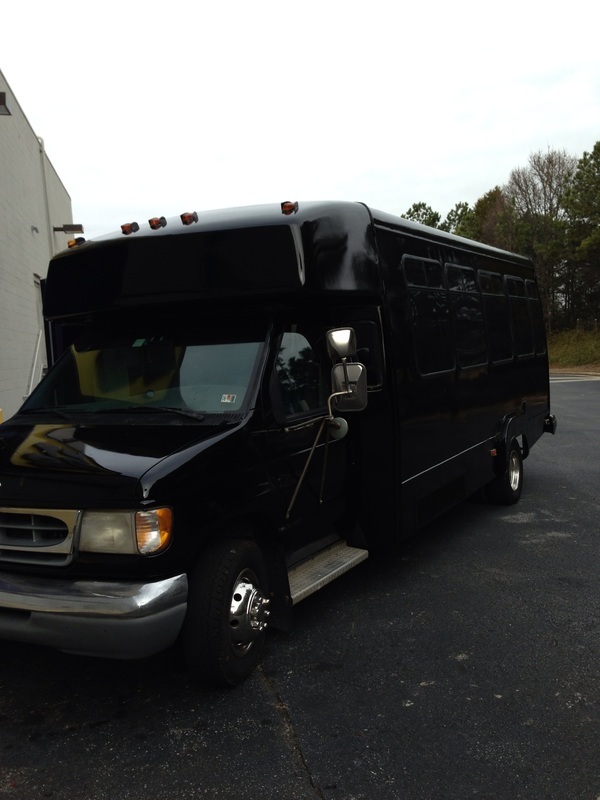 Rent a party bus rental in Alpharetta and Atlanta and paint the town red! Bar crawls or bar hopping has been a huge past time for many people and they have been able to safely enjoy the fun they have had with their friends, because of our party bus bar crawl rentals. We have carried thousands of people home safely in our party bus rentals after a long night of partying. We know Atlanta and the surrounding areas very well and our professional drivers will take you to any club in Atlanta or night spot that you want to go. We have several bar crawl party bus limos to choose from and you will roll up to the club in style. 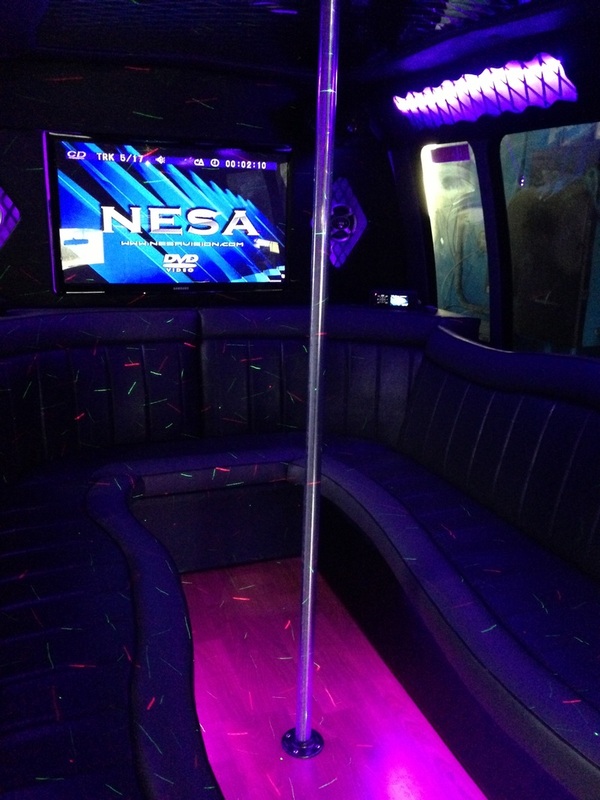 Prior to hitting the bar you will enjoy the amenities in our party buses like, dancer poles, surround sound systems, neon lights, open bar and more! ...and you'll arrive happy and ready to continue party! Call today to get the plush experience you and your friends deserve! Don't forget, we've got top of the line, safe, and elegant party buses for all of your high school friends. You can have up to 40 of your friends in our 40 passenger party bus. Does party bus rental prices have you baffled? We have the best party bus deals around, reasonable prices, contemporary and comfortable party bus rentals. We have the ultimate riding experience waiting for you, providing service in Alpharetta and surrounding Atlanta area. What will my party bus experience be like? No matter what your event is, we ensure that your experience will be fun-filled, relaxing and safe. You can drink alcohol on the party bus, bring your own drinks. You can listen to the music as loud as you wish and watch any sports channel on one of our LCD Televisions. Do you only service the Alpharetta area? No. We pick up, drop-off and tour the surrounding Atlanta area too! We also have party buses and professional chauffeurs that will travel regionally to Mississippi, South Carolina, Tennessee, Florida, Alabama, and other locations as well. Just give us a call to confirm if we travel to your choice destination. What is the cost of party bus rentals? We have a wide variety of party buses to choose from and we can customize a package that fits your budget, simply call today. How quickly can I get my party bus rental quote? As soon as you call a representative at (770) 467-3330. What's the difference between a Party Bus and Charter Bus? 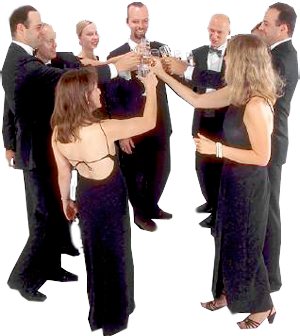 There are many differences between a party bus and charter bus. Primarily a party bus has fun amenities that suite a birthday party, prom, bachelorette party, or wedding party transportation and have lots of entertainment available. To include, dancer pole, open bar, neon flashing lights, LCD televisions and more. A charter bus is more suited for row seating and typically does not have any entertainment value except possibly small televisions and radio system. Instead of just sitting in a seat to travel to your destination, you can party while you transport to your destination. "We used a party bus rental for 30 members of my wedding party and had the time of our lives. I felt very safe...I forgot I was on a bus and the driver was so friendly!" "We rented a party bus for my husband's 50th birthday party. We bar hopped all over Atlanta and didn't have to worry about finding parking or needing a designated driver, and the best part about it, everyone made it home safely." "The best idea we could have ever thought of...renting a party bus for my daughters Sweet 16 party!"